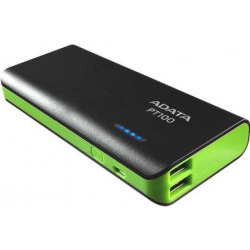 A streamlined easy-grip design allows you to carry the AData PT100 easily while charging. No need to worry about running out of power when you're on the go! The AData PT100 comes with a whopping 10000mAh charge capacity – enough for up to 5 full charges for an iPhone 5, and 1.5 charges for an iPad Mini. Whenever you connect your device to the PT100, it automatically begins charging without needing to press a button. When charging finishes, the AData PT100 automatically shuts off. With synchronous charging and discharging, your PT100 provides an even quicker charge. 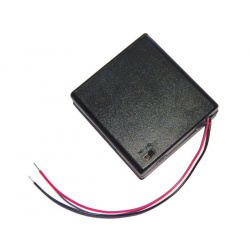 This battery box is designed for use as a nice switchable, portable power pack, and fits any two alkaline or rechargeable AA batteries in series. The body is moulded in black ABS Resin and has a slide on detachable lid which can be locked for extra security through use of a small provided screw. It even includes a very useful miniature on-off slide switch which is very handy for wiring to projects that don't have a switch! Connection is via two flexible stranded red (positive) & black (negative) 26AWG wire leads, which are approximately 150mm in length. The two batteries are held in series, for a nominal output of 3V DC (AA Batteries @ 1.5V each). 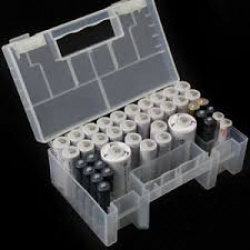 This battery box is designed for use as a nice switchable, portable power pack, and fits any four alkaline or rechargeable AA batteries in series. The body is moulded in black ABS Resin and has a slide on detachable lid which can be locked for extra security through use of a small provided screw. It even includes a very useful miniature on-off slide switch which is very handy for wiring to projects that don't have a switch! 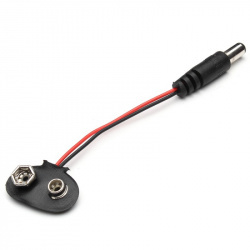 Connection is via two flexible stranded red (positive) & black (negative) 26AWG wire leads, which are approximately 150mm in length. 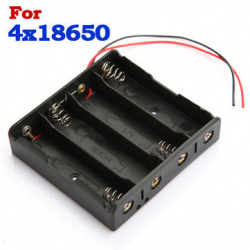 The four batteries are held in series, for a nominal output of 6V DC (6.4V when fresh, 4V when dead), and 4.8V DC for rechargeables (5.2V when fully charged, 4.4V when discharged). Using rechargeables will make this work nicely with nearly any 5V project, with alkalines you may want to put a 1N4001 in series to drop the voltage from 6V down to 5.3V. Power supply for dc projects. Ideal for robotics and hobby related projects. 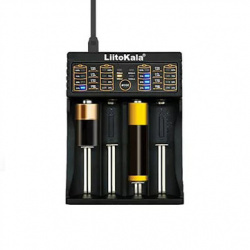 14500 rechargeable li-ion lithium battery. Makes your battery pack Solid and Reliable! 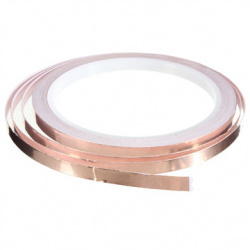 -Single-sided conductive copper foil tape. 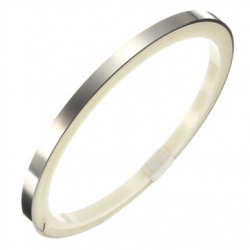 -Single-sided conductive, radiation, high temperature, interference, electrical conductivity and strong. -For electromagnetic radiation interference have better shielding effect, for electrostatic discharge have good grounding performance and also for soldering purposes. You will need a USB micro B cable with power supply for this charger. Button/Coin compact design enclosure with On and Off Switch. 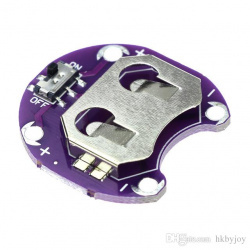 Perfect for soldering, perfect for robotic ,electronic, and restoration projects. It can hold two CR2032 coin batteries. 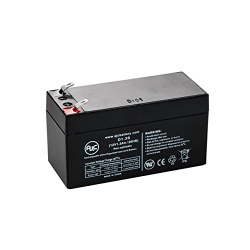 Double 18650 Li-Ion battery Holder for UPS Pico HV3.0A/B/B+ HATs! 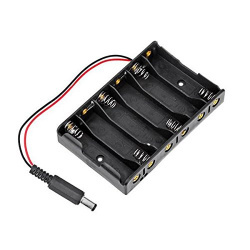 The UPS PIco LP/LF/Li-Ion 18650 Battery Holder is an add-on board for the UPS PIco HV3.0A/B/B+ HATs that enables use of the widely available 18650 Li-Ion batteries. 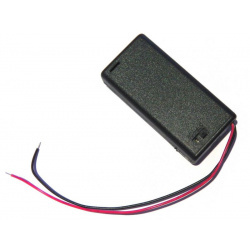 Simply swap out the LiPo battery included with the PIco, and you can use 18650's instead! 18650 batteries have a capacity of ~ 3000mAh. 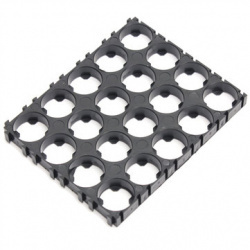 Each 18650 Battery Holder is equipped with inverse battery insertion protection, however we strongly recommend that you use PCB protected batteries. 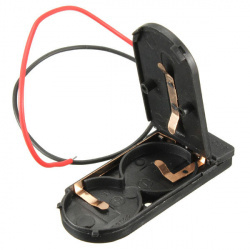 This is the "Double" 18650 holder, which is able to take two batteries. Batteries are NOT included in the purchase! The 18650 holder connects to the PIco via a 2-wire JST-XHP-2 Battery Connector, and comes complete with mounting spacers, screws & nuts to mount the PCB above the UPS PIco. This product is NOT compatible with the Terminal Block PCB. This product is an add-on board for the UPS PIco and requires a UPS PIco for use. We do not endorsed compatibility with any other product or system, and users who do choose to use the battery holder with another device do so at their own risk. Replacement battery for OSMC remote. 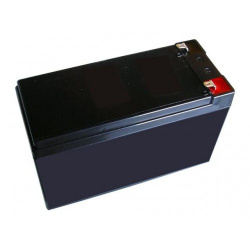 CR type lithium button batteries offer long shelf life and are ideal for items such as watches, memory support and cameras. ercury free. All cells in this range have a voltage of 3V.